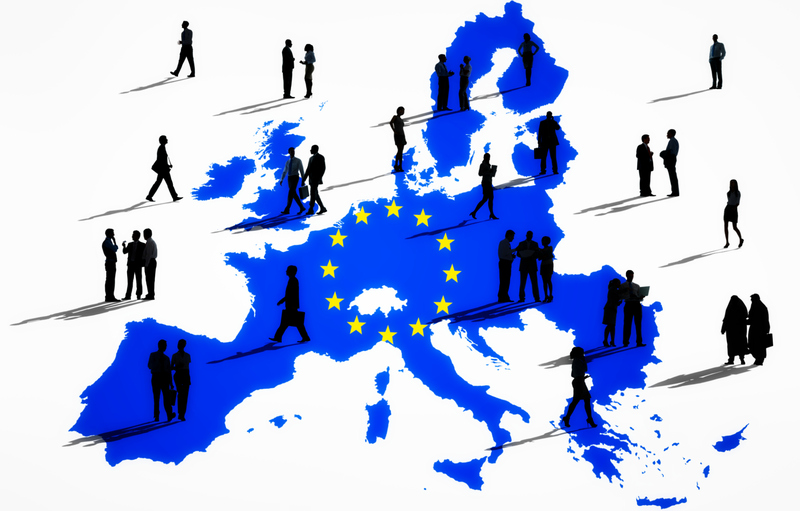 The FINANCIAL -- In 2017 over 13 million people in the European Union (EU) were employed in economic activities related to tourism. Nearly 8 million of these people worked in the food and beverage industry, while 2 million were employed in transport. The tourism industries are a major employer of women. The proportion of part-time employment in the tourism industries (24 %) is significantly higher than in the total non-financial business economy (17 %) and is comparable to the figure for the services sector as a whole (22 %). Nearly one in six people employed in tourism are foreign citizens. The tourism industries account for 21 % of people employed in the services sector. When looking at the total non-financial business economy, the tourism industries account for 9 % of people employed. Among the Member States, Greece recorded the highest share (23.9 % or nearly one in four people employed) followed by Cyprus and Malta with respectively one in five and nearly one in six people employed working in the tourism sector. In absolute terms, Germany had the highest employment in the tourism industries (2.5 million people), followed by the United Kingdom (2.3 million), Italy (1.5 million), Spain (1.4 million) and France (1.1 million). These five Member States account for 66 % of employment in the tourism industries across the EU. In the selected tourism industries, 23 % of people work in micro-enterprises that employ fewer than 10 people, which is significantly lower than the 29 % observed for the total non-financial business economy. The economic crisis led to a fall in total employment which started recovering in 2014 and reached the before crisis levels in 2016. However, this was not the case for the services sector, including the selected core tourism industries, which has had an average annual growth rate of +1.5 % since 2008. More specifically, the tourist accommodation sector registered an average annual growth of +1.9 % since 2008, resulting to a total increase of +18 % in 2017 compared with 2008. This shows the tourism industry’s potential as a growth sector, even in times of economic turmoil that significantly affect other sectors of the economy. The tourism industry is a major employer of women. Compared with the total non-financial business economy, where 36 % of people employed are female, the labour force of the tourism industries includes more female workers (59 %) than male workers. The highest proportions are seen in accommodation (61 %), and in travel agencies and tour operators (64 %). Even though nearly one in three women working in the tourism industries works part-time (compared with one in seven men), women working full-time still represent the biggest share of employment (41 %). Female employment accounts for less than 50 % of tourism industry employment in only two Member States (Luxembourg and Malta); for the accommodation sector this is the case only in Malta. In Slovenia, Estonia, Austria, Poland and Lithuania, more than two out of three people employed in tourism are women. In Slovenia, the proportion of female employment in the tourism industries is nearly twice as high as in the economy as a whole (70 % versus 37 %). The proportion of part-time employment in the tourism industries (24 %) is significantly higher than in the total non-financial business economy (17 %) and is comparable to the figure for the services sector as a whole (22 %). Within the three selected tourism industries, the proportion of part-time employment is highest in the accommodation sector (26 %), followed by travel agencies and tour operators (22 %). In air transport, 18 % of staff work on a part-time basis. In most Member States for which data is available, the tourism industries have a higher proportion of part-time employment than the rest of the economy. This is not the case for the popular tourism destinations of Cyprus, Greece, Portugal and Spain where the proportion of part-time work is lower in the tourism industries than in the rest of the economy. In Czechia as well as in Iceland, the proportion of part-time workers in tourism is at least twice as high as it is in the economy as a whole. Figure 6 shows that, with 13 % of workers aged 15 to 24 compared with 9% for services or for the non-financial business economy, the tourism industries have a particularly young labour force, as these industries can make it easy to enter the job market. In Ireland, the Netherlands, Denmark and the United Kingdom, the proportion of employed people aged 15 to 24 exceeds 20 % and in all four countries is significantly above the proportion seen in the economy as a whole. In the accommodation sector, the proportion of young workers stands at 15 % in the EU, while in the four above mentioned countries, more than one out of four persons employed in this sector is aged 15 to 24. The previous sections showed that tourism employs more female workers and young workers. People with a lower educational level (those who have not finished upper secondary schooling) are equally represented on the labour market as a whole and in the tourism sector (around 20 % for both). However, in the subsector of accommodation, one in four people employed has a lower educational level. In Malta, Spain and Portugal more than two out of five people employed in tourist accommodation belong to this group. However in these three countries lower educated people are more represented in the whole labour force compared with the rest of EU countries. Many foreign citizens work in tourism-related industries. On average, they account for 16 % of the labour force in tourism industries (of which 9 % are from other EU Member States and 7 % are from non-EU countries). In the services sector as a whole, the proportion of foreign citizens employed is 11 %, and in the total non-financial business economy it is 9 %. Foreign workers make up 8 % of the workforce in air transport and 10 % in travel agencies or tour operators, but 18% of the workforce in accommodation. In four EU Member States, more than one in four people employed in the selected tourism industries are foreign citizens: Cyprus (26 %), Ireland (29 %), Austria (29 %) and Luxembourg (61 %). Since tourism tends to attract a young labour force, often at the start of their professional life, certain key characteristics of employment in this sector are slightly less advantageous than in other sectors of the economy. The likelihood of occupying a temporary job is significantly higher in tourism than in the total non-financial business economy (23% versus 14 % of people employed) . There are big differences across the European Union (ranging from 5 % of temporary contracts in tourism in Malta to 45 % in Greece). In all countries for which data is available except Malta and Finland, fewer people have a permanent job in tourism than in the economy on average. Similarly, the likelihood of an employee holding their current job for less than one year is also significantly higher in tourism than in the non-financial business economy as a whole (23 % versus 15 %). Air transport tends to offer more stable jobs, with only 12 % of employees having job seniority of less than one year, compared with 26 % in accommodation and 14 % for people employed by travel agencies or tour operators. More than half of the workforce in the accommodation sector has held their job for less than one year in Cyprus and for less than two years in Denmark and Sweden. Tourism demand varies strongly in the course of the year. Tourist accommodation has the highest occupancy rate in the summer months. In the EU on average, the number of nights spent in tourist accommodation is three times higher in the third quarter of the year (the peak quarter) than in the first quarter (the lowest quarter). The peak quarter records more than double the number of nights than the lowest quarter in all but six Member States (Finland, Slovakia, Malta, Estonia, Czechia and Austria). In Croatia, nearly 38 times more nights are spent in tourist accommodation between July and September than in the first three months of the year. Tourist activity can have a negative impact on the quality of life of the local population in popular tourist areas. However, the influx of tourists can also boost the local economy and labour market. In the EU-28 as a whole, labour costs and earnings tend to be significantly lower in the tourism industries than they are in the total economy. In the economy, the average hourly labour cost was €26.0 in 2016 and average hourly earnings were €15.2 in 2014. In the three selected tourism industries (air transport, accommodation, travel agencies & tour operators) the average hourly labour cost was €23.6 in 2016 and the average gross hourly earnings amounted to €13.0 in 2014. Gross hourly earnings in tourism are highest in Denmark, Luxembourg, Norway and Switzerland, but these countries are also among the top five countries with highest average hourly earnings in the total economy. In 2016 only seven EU Member States had higher hourly labour costs in tourism than the total economy: Portugal, Estonia, Czechia, Slovakia, Hungary, Romania and Bulgaria; for gross hourly earnings, this was the case for three out of the 28 EU countries. Comparing the accommodation subsector with the economy as a whole, both hourly average labour costs and earnings were lower for those employed in accommodation, and this was true across the EU.